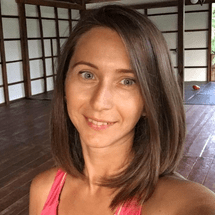 Irina is a certified RYT-200 Yoga instructor who has started her journey with Yoga more than 4 years ago. She believes that yoga has a lot to offer to every person whether it serves as a physical asana or a good workout, or simply helps you to find balance and harmony in your life. All her classes are unique and adapted to every student individually that will allow you to gradually evolve your physical, spiritual, and mental strength.